High Commissioner of India to the United Kingdom His Excellency Mr. Y K Sinha and Mrs. Girija Sinha were bid a warm farewell by the Indian diaspora in a grand dinner reception at Hotel Hyatt Regency, Birmingham organised by Consulate General of India and Mayor of West Midlands. 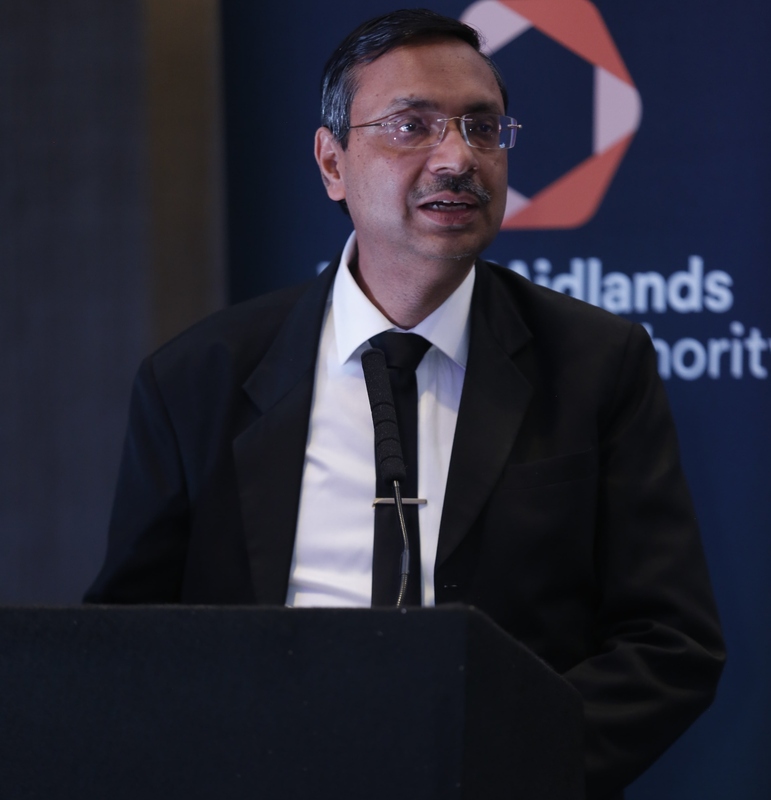 The dinner was supported by SBI UK, and attended by prominent dignitaries and important representatives from the Indian diaspora of Midlands and North England. The program also featured a special musical performance by Star Punjabi Singer Malkit Singh, who delighted the guests with his medley of popular songs. Consul General of India at the start of his welcome speech, observed a minute’s silence for the victims of the train tragedy at Amritsar, along with all those present. He enumerated the highly successful career of High Commissioner Sinha spanning over 37 years, wherein he had been posted in the Ministry of External affairs in New Delhi and various missions in South Asia, Middle East, Europe, South America and the Permanent Mission of India to the United Nations. Consul General stated that the High Commissioner had engaged with the British Indian community on an unprecedented scale to create a very special bond between the Indian diaspora and the High Commission. High Commissioner Sinha also made invaluable contributions in strengthening the bond between India and the UK, which was visible during the visit of Hon’ble Prime Minister of India, Shri Narendra Modi to UK this year. He observed that under the leadership of High Commissioner, United Kingdom saw the largest celebrations outside India on the occasion of the 350th Birth Anniversary of Guru Gobind Singh ji. He observed that the successful ‘Diwali on the Square 2018’ held in the morning of October 20th would ensure that the jointly hosted event becomes a significant feature in Birmingham’s calendar. He acknowledged Mayor Andy Street’s role in the success of the event, and for the successful trade delegation organized to India on behalf of West Midlands along with Rt. Hon. James Brokenshire, Secretary of State and Ministerial Champion of Midlands Engine & Sir John Peace, Chairman of Midlands Engine. He thanked the sponsors of ‘Diwali on the Square 2018’ especially HSBC, SBI, West Midlands Metro, Asha’s restaurant, TSB, ICICI, KTC, O2, Birmingham Airport and Air India. Mayor Andy Street offered his condolences for those who lost their loved ones during the Amritsar train tragedy on Friday. He went on to add that even though Diwali is celebrated in different ways by different people, the common theme is the triumph of light over darkness, of good over evil, and more so it is the celebration of togetherness and hope. While describing his recent visit to India in October 2018 stated that the highlight of the visit was his maiden visit to the holy city of Amritsar, which gave him an opportunity to learn about Sikhism. He added that the trip helped to build a relationship between India and the UK, which Prime Ministers of both the countries have also been promoting. He thanked the High Commissioner for his immense contributions in strengthening and deepening UK –India relationship and offered his best wishesfor retirement. High Commissioner Sinha in his farewell speech congratulated the Consul General and Mayor of West Midlands for organising a successful event. High Commissioner expressed satisfaction that the relation between UK and India looks very bright and India, which is the fastest growing large economy of the world, will be a willing partner, whatever may be the outcome of Brexit. He appreciated the Consulate’s role in involving the large Indian diaspora of the Midlands with events such as 350th birth anniversary of Guru Gobind Singh ji, and expressed hope that such events will continue with the 550th birth anniversary of Guru Nanak Dev ji to be organised in October 2019. He urged the Indian community to increase their involvement, and to connect even more with the High Commission, and the Consulate General of India. 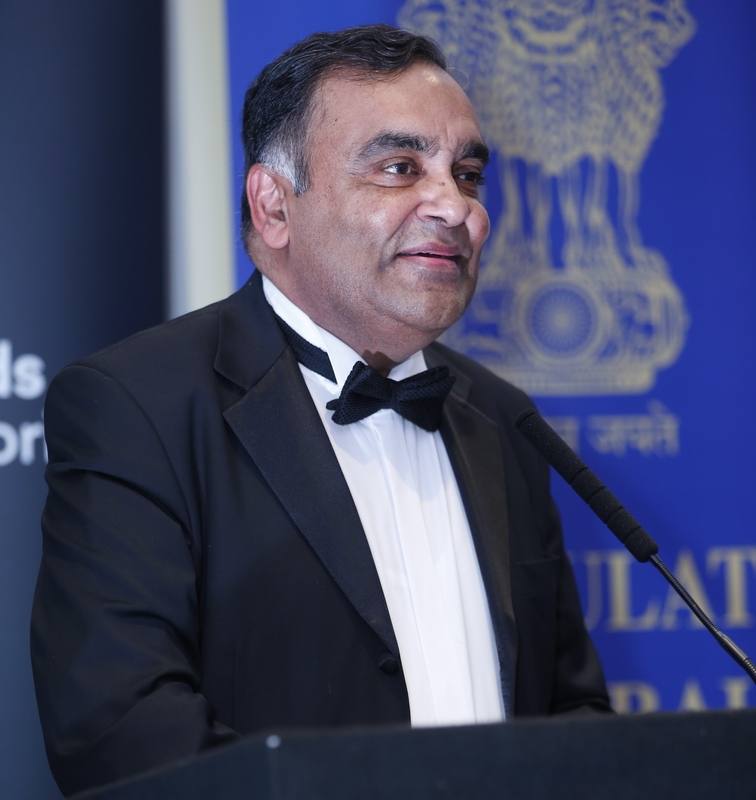 He urged them to continue making their contribution towards raising the profile of Indian diaspora in the United Kingdom, whether in politics or economy. He particularly mentioned about the connection with young British Indians, and the need to make them a part of India’s transformation. High Commissioner Sinha is from 1981 batch of Indian Foreign Service. In his career spanning over 37 years, he has served in various diplomatic capacities including as a member of United Nations Committee. Prior to his present post, he has served as High Commissioner of India to Sri Lanka from June 2013 to December 2016. His rather brief stint in the United Kingdom of close to two years, has been very successful and much appreciated, especially by the Indian diaspora with whom he has established a strong connection. High Commissioner Sinha was presented with a farewell memento on behalf of the Indian diaspora of Midlands and North England by the Consul General and Mayor of West Midlands. The euphoria generated by the day’s event of ‘Diwali on the Square’ continued throughout the evening, and it ended with the hope that such interactions will be an integral part of Birmingham’s calendar of festivities.